SAN DIEGO, Calif.– (RealEstateRama) — The San Diego County Board of Supervisors is approving or considering the approval of nine large developments that would add 40,000 new residents in chaparral and grasslands naturally prone to fire, according to a new analysis by the Center for Biological Diversity. The proposed and recently approved developments, including Newland Sierra and the Otay Ranch Villages, will put 15,000 homes in areas where fires have historically burned and which state agencies like Cal Fire have identified as posing a high fire threat to people. Based on Census Bureau estimates of 2.87 persons per household in San Diego County, the developments could put more than 40,000 new residents at risk, notes the Center analysis and comment letter submitted today to the Board of Supervisors. Supervisors will meet Wednesday morning to discuss land-use planning issues. The nine proposed developments — including four recently approved by the board — would be built in areas dominated by chaparral, sage scrub and grasslands. These native California habitats rely on wildfires to persist and are prone to high-intensity fire. But when fires occur too frequently, these habitats are replaced by non-native grasses that burn more often and easily, further increasing fire threat. Nearly 1,000 homes have burned every year in Southern California since 2000, and projects like these nine developments would place more homes in fire-dependent landscapes. Developments extending into natural areas have led to more frequent wildfires caused by human sources like discarded cigarettes. This leads to a dangerous feedback loop of more fire and habitat destruction. For today’s analysis, the Center reviewed the Environmental Impact Report of each project to determine the developments’ cumulative impact on wildfire risk. Project footprints were compared to the fire history and fire threat of the region, as identified by the Department of Forestry and Fire Protection and the California Public Utilities Commission. The total number of housing units and potential residents for all the developments were calculated, and mitigation measures were analyzed to determine their effectiveness at reducing fire risk. In the letter to the Board of Supervisors, the Center underscores the wildfire dangers of these developments and urges the County to avoid placing poorly planned, leapfrog developments in high fire-prone areas. As the Center’s letter notes, those calling for forest thinning to diminish fire risk to people are wrong and misguided. Logging forests hundreds of miles from where fires are burning through communities built in fire-prone shrublands will not prevent blazes in the wildland urban interface. Instead, the Center says that communities should be designed to coexist with California’s natural fire regime. 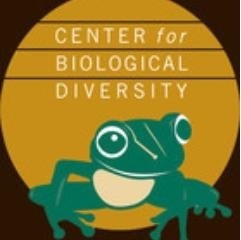 The letter notes that land-use planning should be reformed to more appropriately consider wildfire risk and protect human lives, property, and the native biodiversity of Southern California’s unique landscape. In October the Center filed a legal challenge to the county’s approval of Newland Sierra.